Mercedes-Benz has been busy making nearly countless paths available to the masses where they get to choose just about any segment of a luxury vehicle outside of pickup trucks on one single-branded car lot. 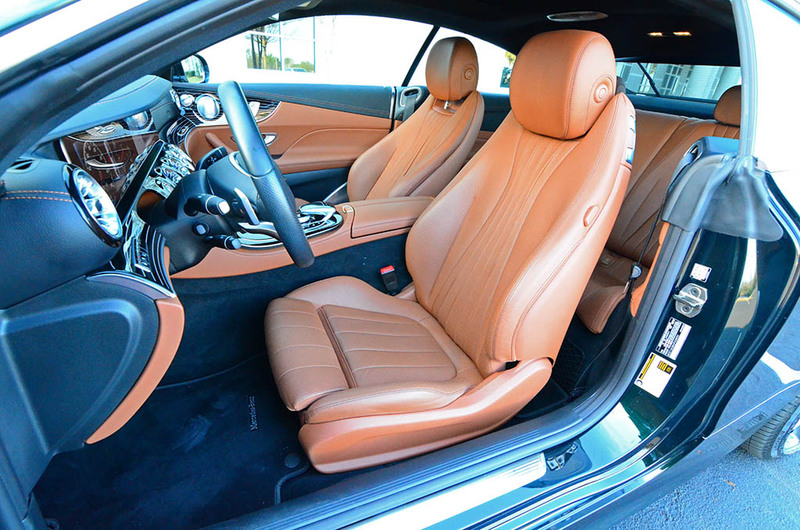 Within the broad spectrum of vehicle type offerings, Mercedes tends to get a little lost in translation with vehicles like the new 2018 E-Class Coupe, which has now received the welcomed and highly praised 2017 model year E-Class redesign. 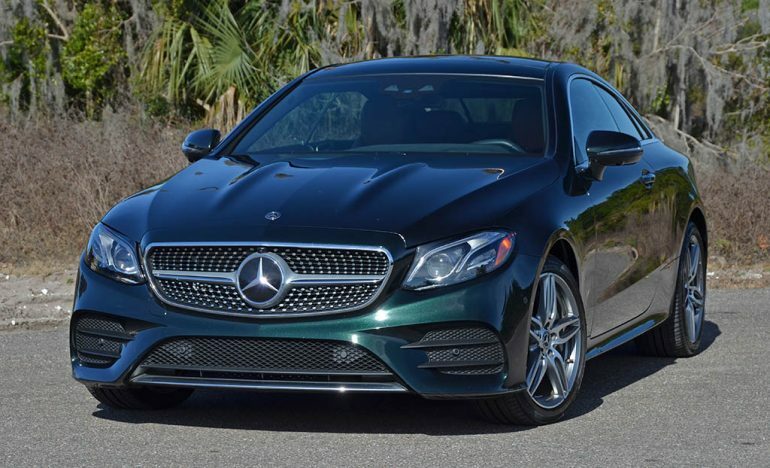 The E-Class Coupe has always been more of a stepchild in the sense of what the E-Class represents, which is mostly a midsized luxury sedan and a sporty convertible with a fabric top. Making due with the collective parts of the updated E-Class inside and out, the E-Class coupe in its E400 trim, my test vehicle for the week, gets the brands well-to-do Biturbo V6 engine with 329 horsepower at 5,250 rpm and 354 ft-lbs of torque that kicks in at its max at a low 1,600 rpm. Power is directed to all four wheels through the advanced 4MATIC all-wheel-drive system and a 9-speed automatic transmission. For the most part, the 9 gears are cleverly managed without much of a guessing game when power is demanded. 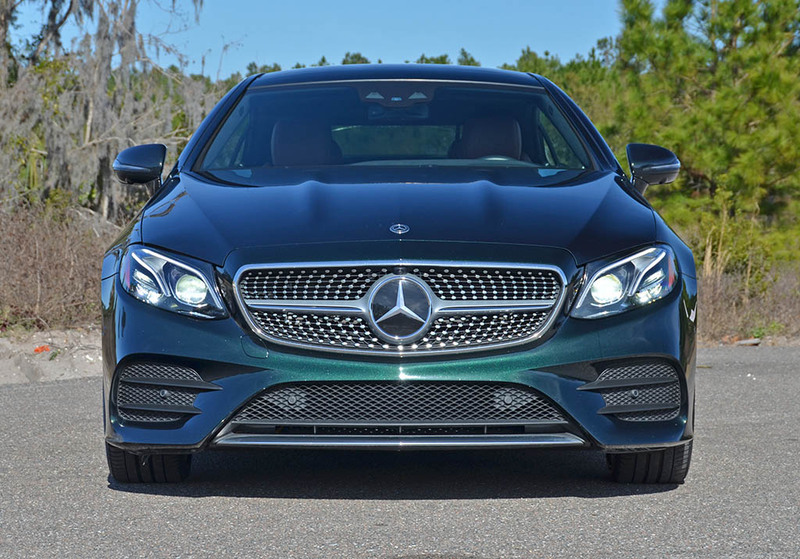 While the E400 Coupe is a few hops and skips from its AMG E43 Sedan sibling that packs in virtually the same goods under the sculpted aluminum hood, the AMG variant adds some desired spice to the tune of 396 horsepower. 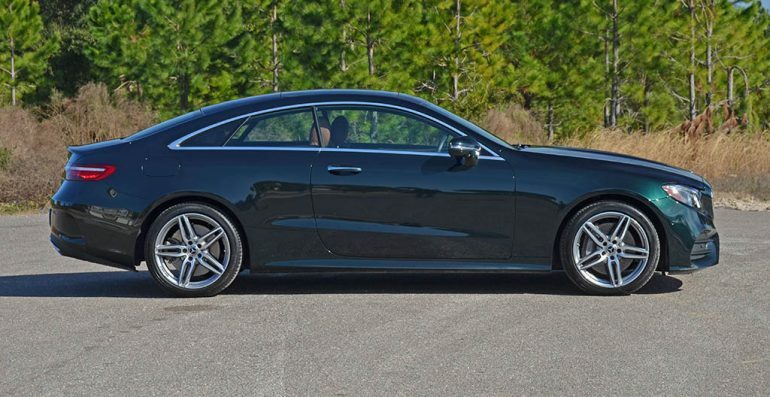 In comparing the AMG line of vehicles to the E400 Coupe I tend to focus more on my point of avoiding the E400 Coupe over the Sedan as the Coupe appears to be a misnomer that leaves those who enjoy driving wanting more for its price of admission. The AMG E-Class simply fixes such a need for us enthusiasts. Mercedes’ objective is clear in today’s automotive landscape: they are fundamentally throwing as many things as they can against a wall and they will eventually retain what sticks. The E400 Coupe is just one midsized offering in the scheme of a convoluted lineup of SUVs, coupe-like crossovers, sedans, coupe-like sedans, roadsters, and coupes that actually have two doors. 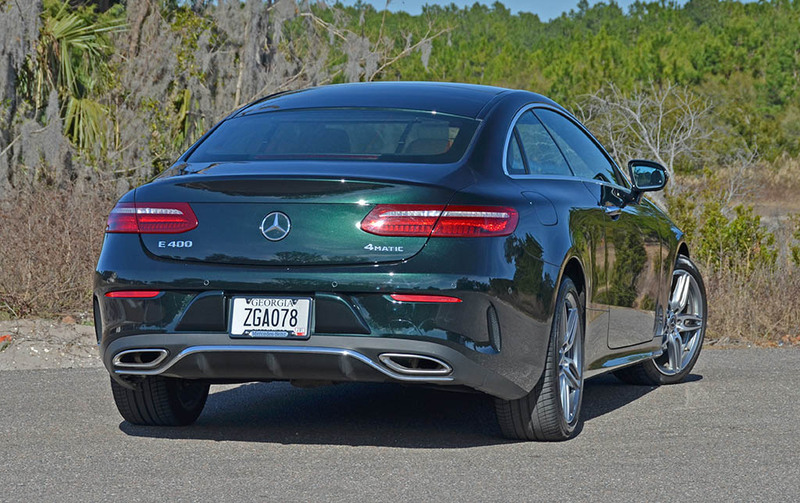 The good part about the E400 Coupe, if you don’t confuse it with something like the new C-Class Coupe, is that it retains most of what is liked about the E-Class Sedan just with two fewer doors. 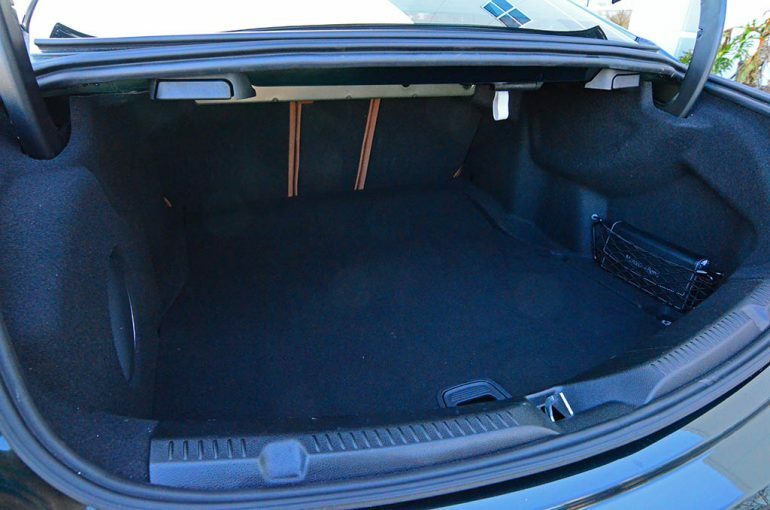 With such, the rear seats in the E400 Coupe are usable for average to small sized adults, the chassis dynamics are respectable due to a high level of aluminum body rigidity, and the plush interior nearly mimics much of what is liked and welcomed inside the new E-Class Sedan configured to the top-end of the E400 trim specs. The driving dynamics of the E400 4MATIC Coupe leaves a bit to be desired as its adaptive suspension tends to loft a bit more than I would like and the powertrain isn’t as confident as you would expect from a Biturbo V6. 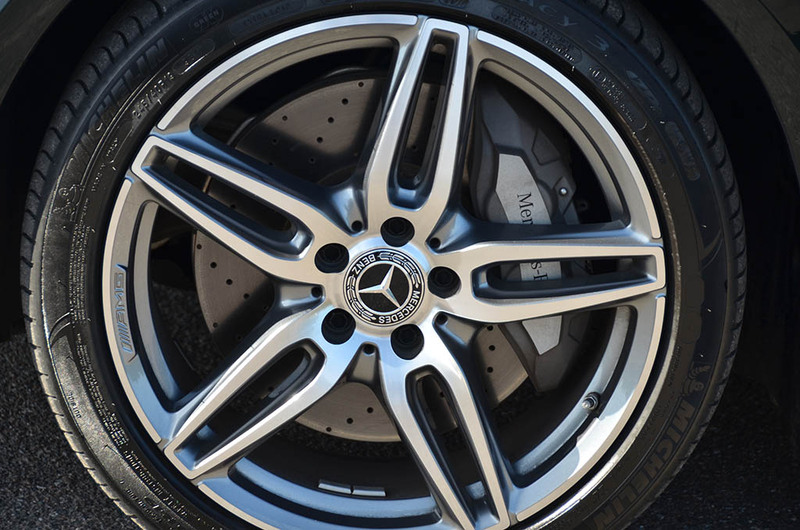 The 4MATIC all-wheel-drive system does more for stability out of turns than the suspension system in many instances. 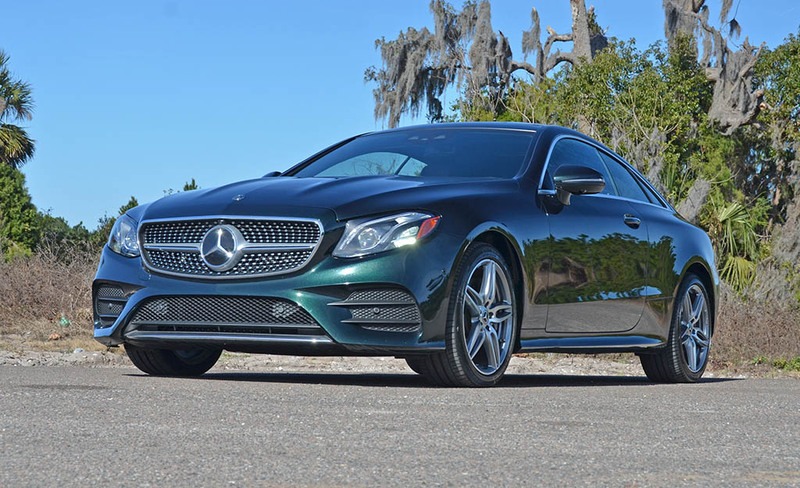 Overall, driving the E400 Coupe is a mostly numb experience without much feedback from the road or a sense of how the vehicle is going to behave on an approaching road imperfection or sharp turn. Fuel efficiency is a bit lacking for the E400 4MATIC Coupe with an EPA-estimated 20 mpg city, 26 mpg highway, and 22 mpg combined. For a BiTurbo V6 that is at the lower spectrum of the power curve relative to competition, the E400 4MATIC Coupe could have much better numbers here. Though, that’s why Benz has the AMG line, which a premium will be paid for such. 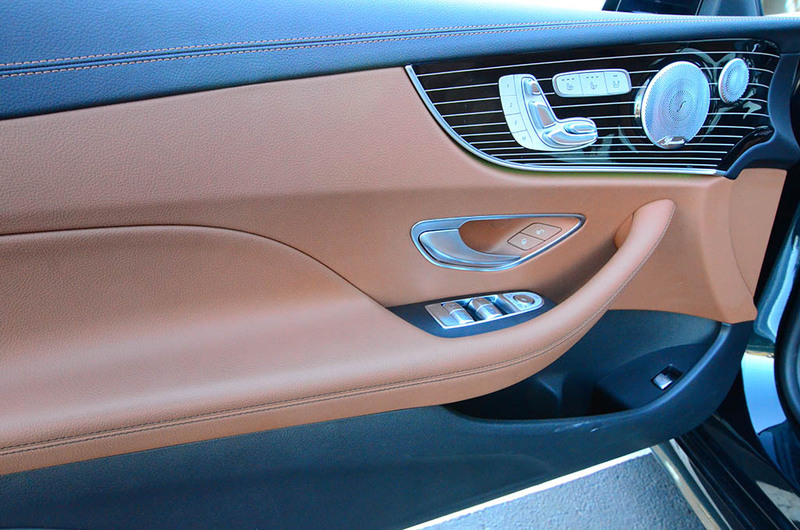 To flip the script a bit to the more positive aspects of the new E400 Coupe, its leather encased cabin nearly mimics that of the plush S-Class Interior and features two large 12.3 inch LCD screens with one serving as your configurable gauge cluster and the other for the classic operation of latest COMAND system with navigation. The central controller and touchpad return for the latest iteration of the infotainment system but many of the menus are spruced up to be a little easier to navigate where the system incorporates Apple CarPlay and Android Auto. 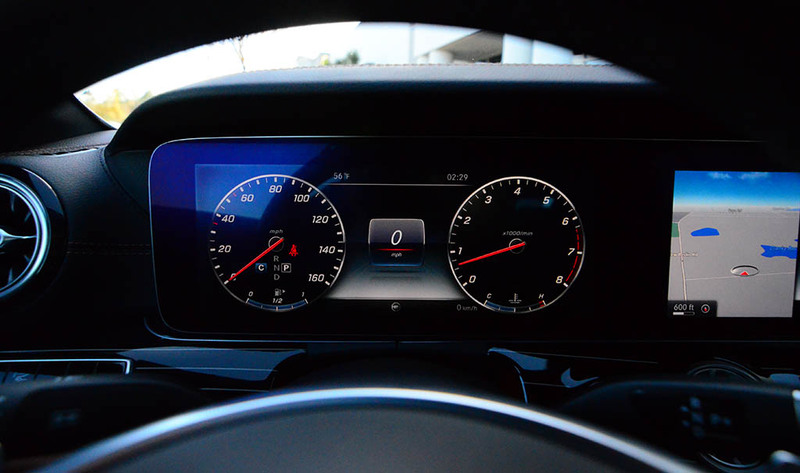 In a way, I do wish Mercedes would move to making the center 12-inch screen a touch screen being that it’s close enough to reach and the high resolution is so inviting to reach out and touch. Regardless, Mercedes has merit in keeping an aging setup fresh and encased in a plethora of tech and customization options. While I may have hinted that the new E400 Coupe may slightly resemble something like the C-Class Coupe, that’s not such a bad thing considering the larger dimensions of the E-Class Coupe cleverly integrated into a stunningly beautiful body. 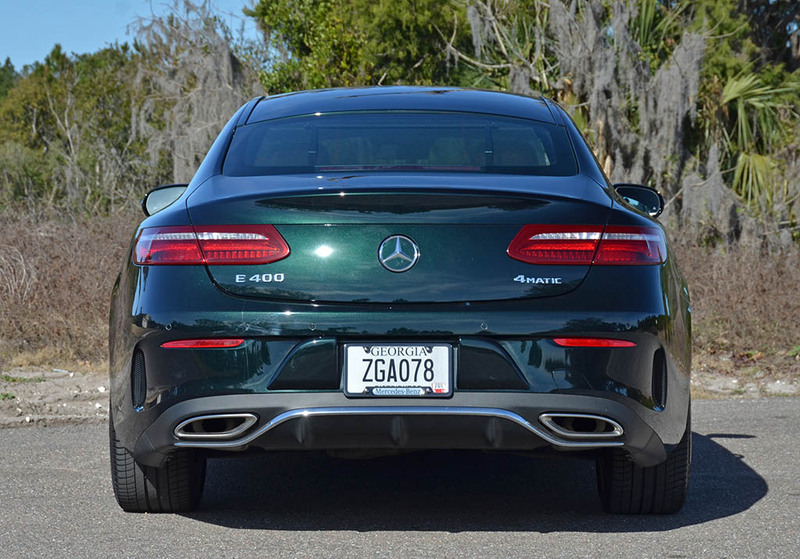 From the front end and the ultra-bright LED headlights, AMG-styled 19-inch wheels, to the power rear-side windows, Emerald Green Metallic Paint on my test vehicle and rear sequencing LED taillights, the E400 Coupe is a stunner deserving of a double head-turn from onlookers. In a traditional sense, Mercedes pulls out the tech guns to showcase semiautonomous driving that is blanketed by an extensive list of active safety features. 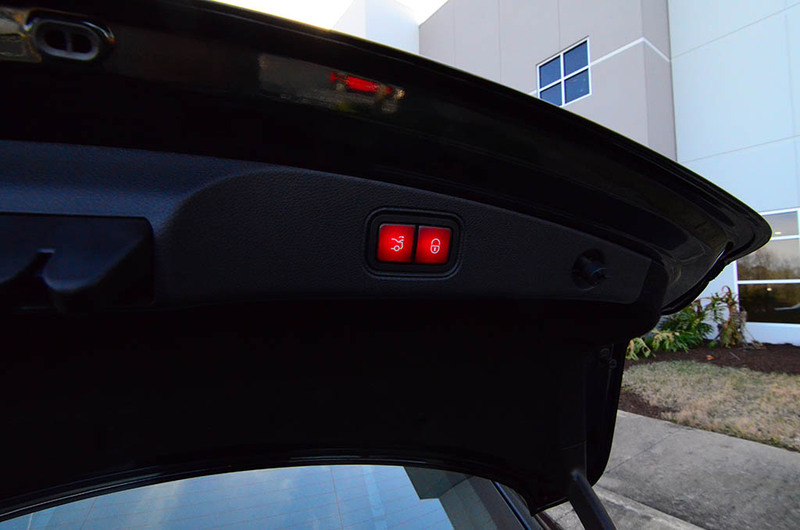 Working in harmony, the optional Premium 3 Package takes the use of several Active systems to basically steer the vehicle through mostly straight roads, brake when needed upon the approach of another vehicle, adjust the speed limit according to a readable speed limit sign, and automatically park itself in a discovered parking spot. 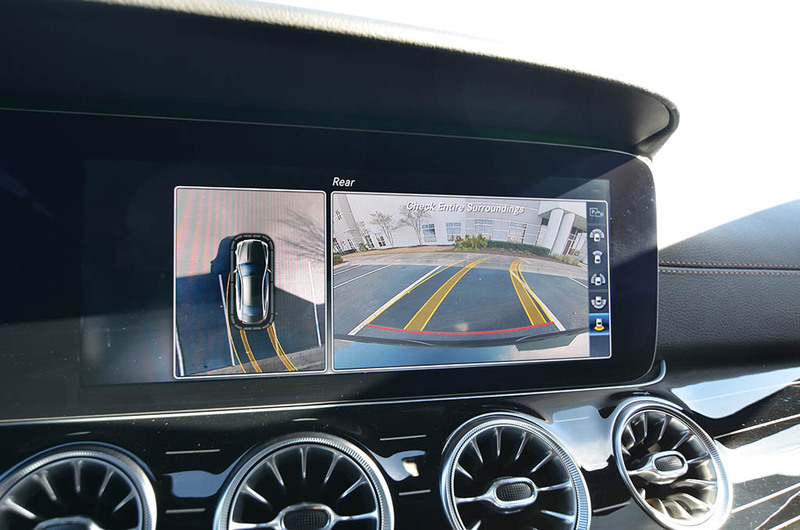 While Mercedes’ semiautonomous system is not as advanced as something from “that electric car company who is associated with a company that makes rockets,” it does add a new sense of awareness to one’s driving. 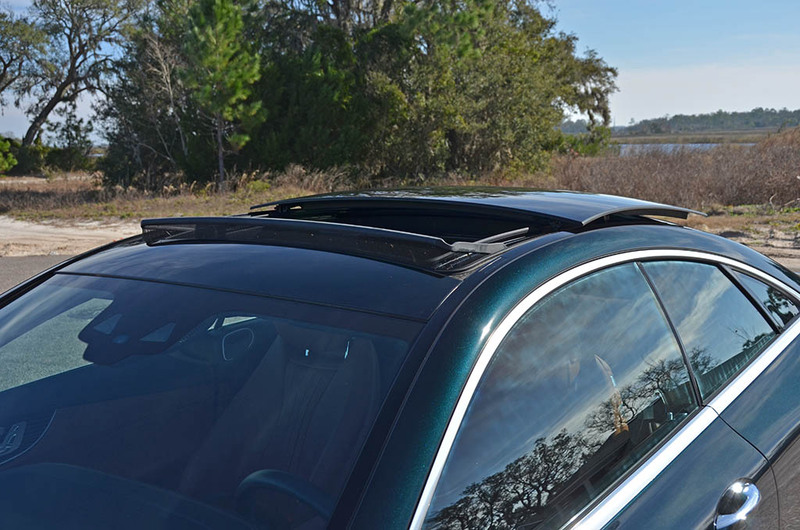 While the use of the adaptive cruise control and implantation of all active driving features is fun to play with, it may add a bit of stress to the average driver who doesn’t know what to expect when they approach a sharp back-road bend that asks you to slow down to 35 mph from 60 mph. 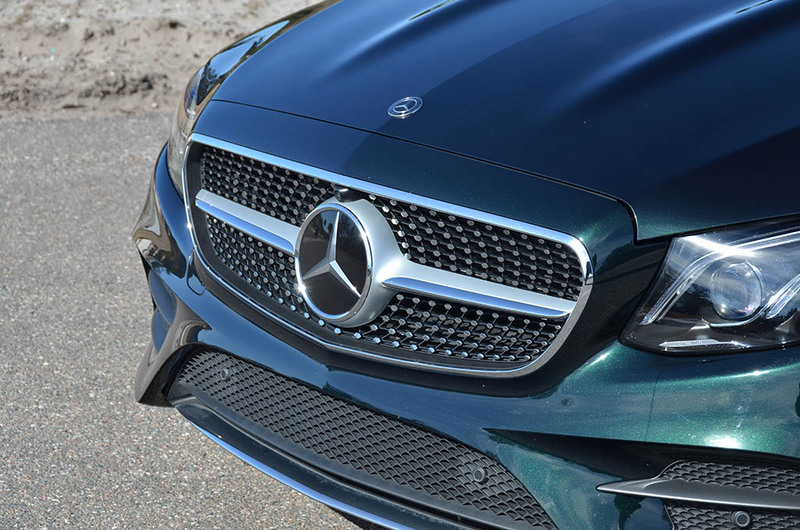 However, the system works well to keep the E400 Coupe literally in line and is ready to mitigate accidents with features like emergency braking and rear-end collision protection (automatically brakes when backing up and an impending object or person is in the path). The formulation of a wide range of creature comforts wrapped up in a luxurious package is just what you expect from Mercedes-Benz. 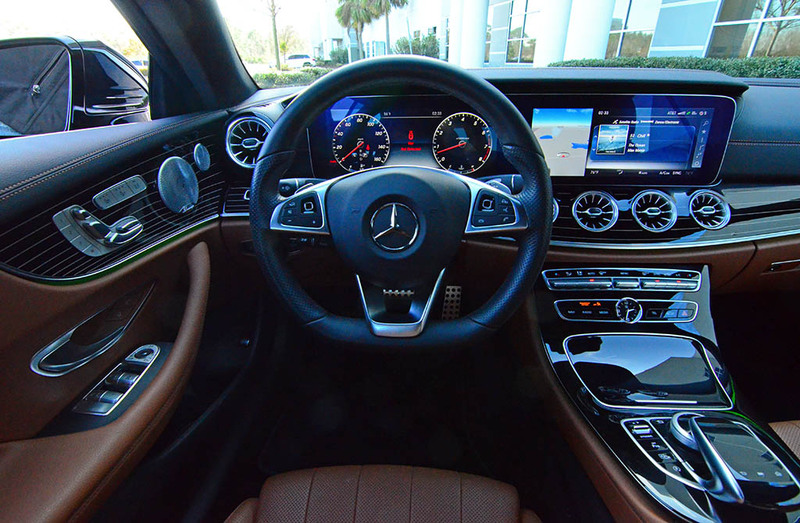 The new E-Class takes things up a notch nearly reaching a level expected in the larger S-Class with options like the Warmth & Comfort Package, which combines a heated steering wheel, heated center armrest, heated door trim armrest, and a rapid functionality for the heated seats. Adding to the luxury formula are the front multicontour seats with ventilation and a massaging feature. 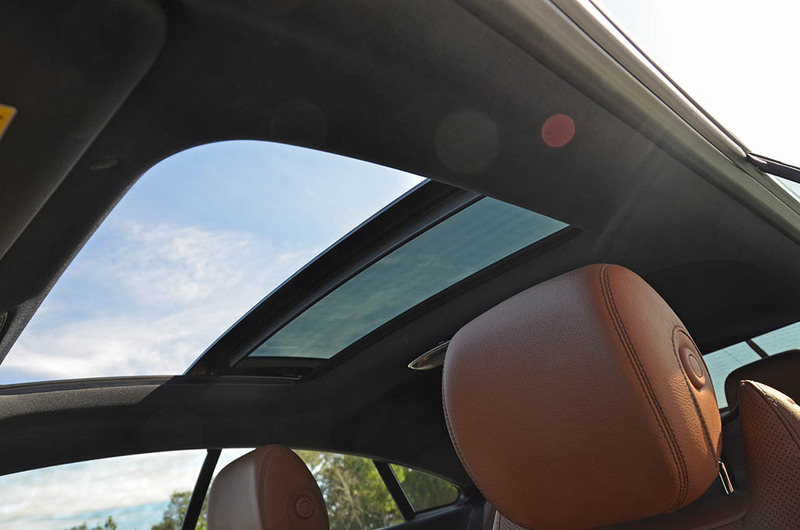 The Burmester 3D Surround Sound audio system, cabin fragrance system, black piano wood trim, and a black headliner with a large power-sliding sunshade and sunroof complete the luxury theme. While the new 2018 Mercedes-Benz E400 4MATIC can be loaded to the gills with many appeasing luxury features that quenches the thirst for those who indulge in a lavish lifestyle, there is a substantial price tag to pay for such. 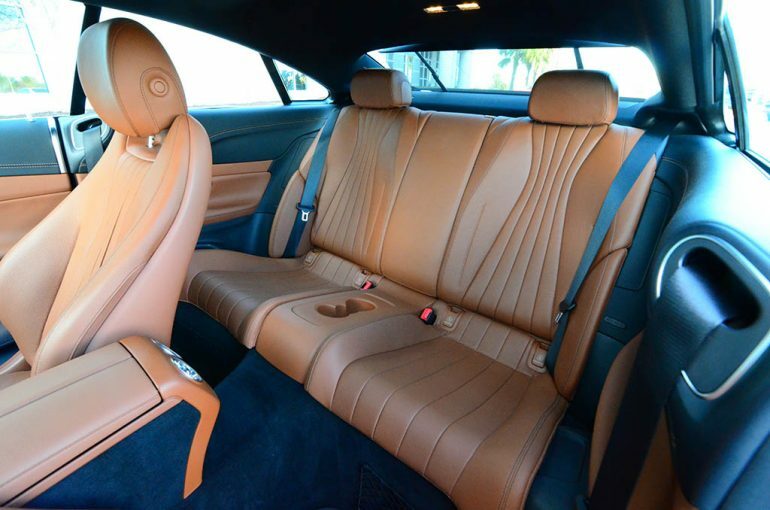 At the as-tested $84,785 price tag for my nearly loaded E400 4MATC Coupe, there is plenty on the inside to justify the admission but with a slight sacrifice in driving pleasure for even the light-hearted enthusiast. One could conclude that the E400 Coupe isn’t for enthusiasts as Benz has the AMG line such, thankfully. However, the E400 Coupe still plays a game to confuse its position in the automotive food chain, and I am not sure it will ever garner the proper attention over the E-Class Sedan or the Convertible outside of the AMG line.